Is was a busy two days for the Mansfield junior high track teams. Consecutive meets at Greenwood and Booneville put the Tigers to the test. When the marks came in, you could find the two Mansfield squads in the advanced range. The Lady Tigers took the championship plaque at the Booneville Bearcat Meet. The Tiger men set two new school records at the Greenwood Bulldog Invitational. The two gender squads first stopped at Greenwood on April 1. Because the teams were going to the Bearcats the next night, the Tiger athletes reduced their load for the back to back competition. Because Greenwood was a chance to concentrate on speciality events, the teams’ scores suffered but the individual accolades flourished. 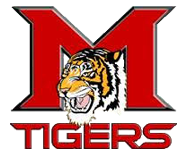 Mansfield freshmen Ethan Chapman and Steven Perez both found their way onto the MJH school record book. Chapman had just reached the prestigious position a week earlier in the 1600m run. He bettered that time four days later. Meanwhile, Perez had been eyeing the pole vault record of 10’ 6” established by Brandon Carver last season. He took that down with a winning jump at the Greenwood Invitational. Chapman’s new official mark in the 1600m run is now 5:13.06. Perez’s new school mark in the pole vault is 10’ 9”. At Greenwood, Lady Tiger Madelyn Jones continued to shine in the hurdle races. The Mansfield eighth grader was top three in both the 100m hurdles and 300m hurdles. A few nights later she cruised to victory in the 100m hurdles with a near season best 17.96 at Booneville. Teammate Harleigh Mars pushed her teammate in the 300m style hurdles to take first at Booneville with a mark of 54.14. She was fourth in the 300’s at Greenwood. Mars was also a part of the women’s 4x400m relay team that won first place at the Booneville Relays. The victory helped seal the overall championship for the Lady Tigers as they edged Clarksville 132 to 101 for the title. Jadelynn Wood, Shelby Cole, and Olivia Bouse joined Mars for the four lap cooperative in 4:55.20. Logan Yoss, Dru Buckner, Tommy Phang, and John Branche made the final relay at Booneville an exciting race as well. The Tiger foursome rounded out the 4x400m race in 4:13.27 for second place just hairs behind host Booneville. The Tigers ended the entire meet in third place behind winner Booneville and Runner-Up Ozark. Skylynn Harris continued to dominate the shot put event. The eighth grader crushed the competition both nights for consecutive victories. Brooklyn Adams and Seven Sanderson supported the throws team in the discus event with point production on separate nights. Teammate Alyssa Frasher was registered as a non-scoring athlete but tossed a personal record 71’ 0” throw in the discus anyway. Hope Rainwater, McKenzie Griffin, Olivia Bouse, and Faith Rainwater won the Bearcat 4x800m relay in 12:04.31. Faith Rainwater also scored in 1600m and 800m runs. Cole was solid at both venues in the 100m hurdles. The ninth grader took second with a time of 17.87 at Booneville and fifth at Greenwood with a measure of 18.72. Fellow ninth grader Sadie Roberts won four events over the two day schedule. She won both the high jump and pole vault on the consecutive nights. Shawn Brown went large in the throws for the Tiger men. He scored second place at Booneville in the discus toss with a mark of 119’ 4”. He was third at Greenwood with a measure of 116’ 7”. Buckner and Yoss capped a good night in the hurdles. The pair of freshmen caught second and fifth places respectively with 49.00 and 50.64 times in the 300m hurdles at the Bearcat event.